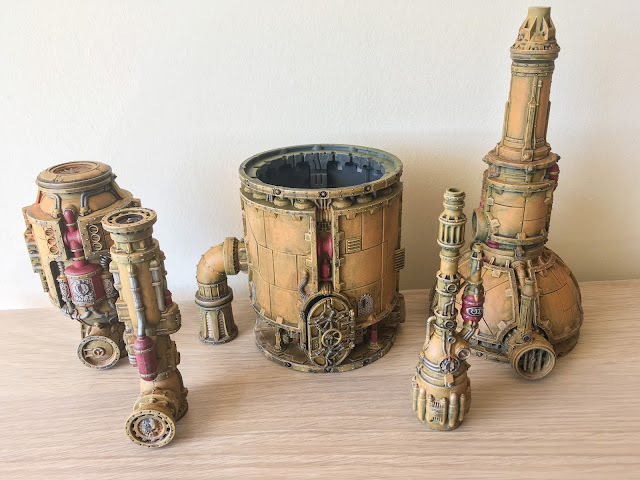 Following on from last weeks post, I managed to complete this set of Shadow War Armageddon (SWA) terrain. As previously mentioned, things went a bit wrong after I applied the gloss shade. Whilst these pieces aren't to the standard I was aspiring to achieve, they look 'OK' and will fit into the board I'm putting together nicely. Following on from where I had reached on the previous post, once I had drybrushed Averland Sunset onto the models to cover up most of the pesky shade which had settled on the panels, I began applying some light highlights to the main colours; Terminatus Stone for the yellow, Ironbreakder for the metal and Evil Sunz Scarlet for the red. Next, I applied a coat of VallejonSatin Varnish in preparation for further weathering. 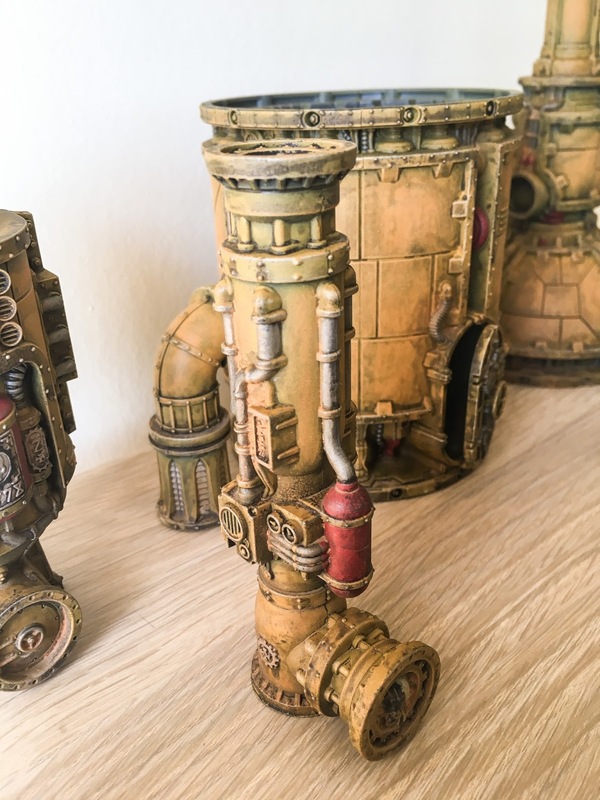 The first step was to apply some rust coloured pigment to simulate rust on the models. The pigment was then sealed in place with Vallejo Pigment Binder. 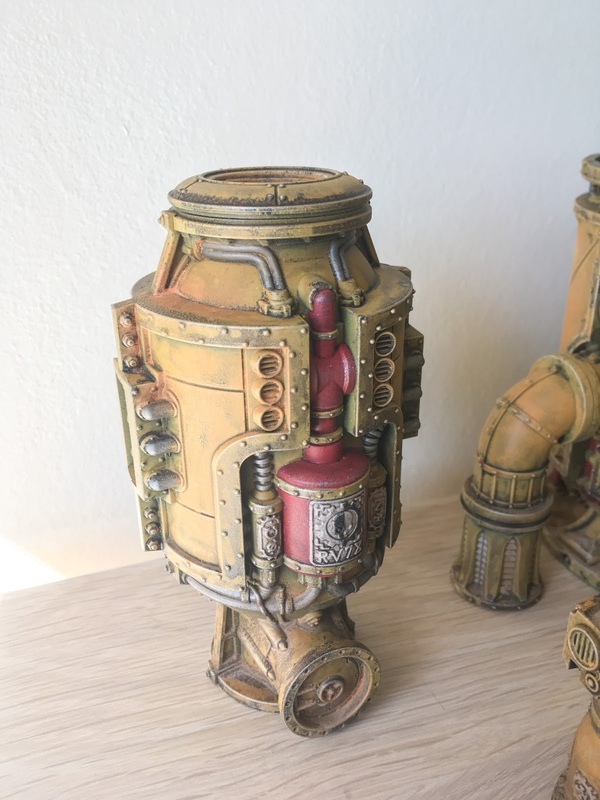 Granted that this is hard to see on the models however it was a good learning experience on the use of applying rust weathering powders. After the Pigment Binder had dried (which took overnight! 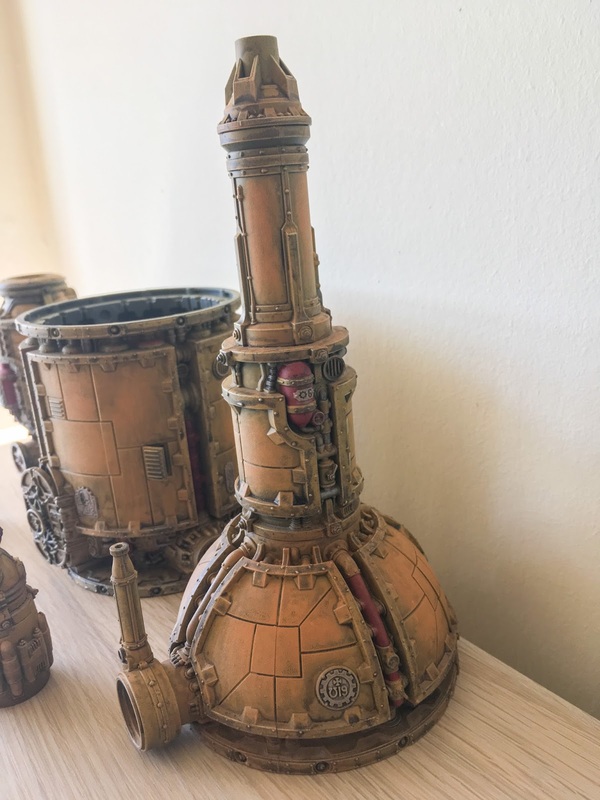 ), I mixed up a very diluted solution of Steel Legion Drab and various earth coloured weathering powders. This solution was then applied to the lower areas of the model to simulate built up dust. 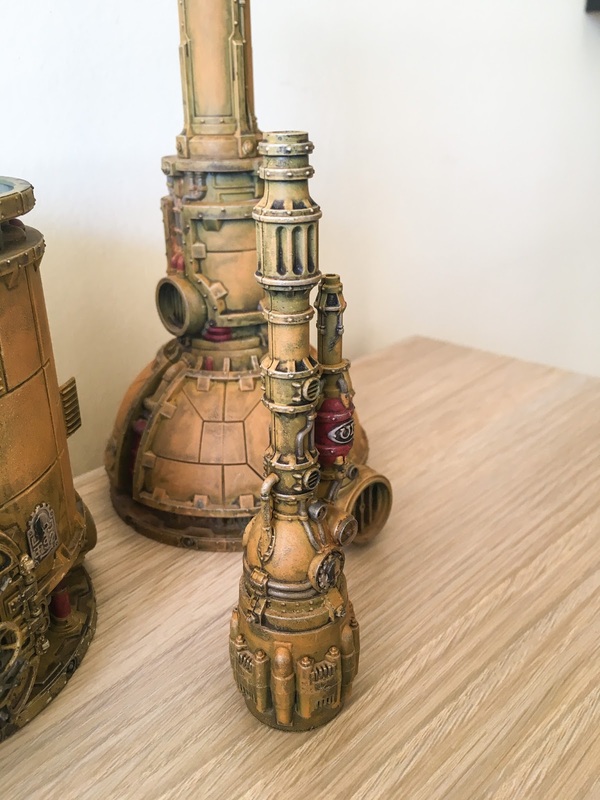 Finally, the models were given a coat of Vallejo Matte Varnish. Next up is a set of fencing I picked up at Salute.